For the latest version, click this LINK or access our current and archived newsletters on the left panel of our website. Click this LINK to view. Access additional ACC information on the left panel of our website. At the March FMEHA Board Meeting, we were pleased to welcome two representatives from our County government who came to answer questions and keep the community informed about various issues affecting the roads in our neighborhood. There were about 30 or 40 homeowners in attendance and questions covered three main issues: 1) the McLearen Road cut-through that has been on the County’s Transportation Plan for some time, 2) the dangerous intersection at Pinecrest and Fox Mill Road and 3) the sidewalk set to be constructed on the north side of Fox Mill Road from Reston Parkway to Fairfax County Parkway. As for the intersection at Pinecrest, we did not get much of an update, unfortunately. The community members in attendance made a strong case for any sort of mitigating actions that could increase safety. We hope that message was received and our representatives at the county level will follow up to try and advance the major problem: funding. After all, a VDOT traffic study showed that a light is merited at the intersection and safety is a concern every day of the week. The last issue, the walkway on Fox Mill, was slated to be under construction already. But, it is not and it has been shortened to end at Fox View Way. Community members further expressed their belief that the walkway is needed, but that it will also compound the problem at all the intersections along that stretch of road. A holistic view of that roadway needs to be undertaken. Again, we were promised follow up with that project’s manager, and for that person to be in contact with our Roads Committee. In other FMEHA news from February and March, the Treasurer’s report looks good. We are at a high point of our operating accounts because 2019 dues have mostly come in by now. Thank you for paying on time. Common land has been very busy with tree work throughout the neighborhood, even in the winter. Various other issues were addressed, including the landscape contracts. The ACC reported 40 applications for 71 projects in March--a very high number. That’s good to see because it means that improvements are being made and records are being kept up to date. To help ease the process of applications moving forward, the Board signed Resolution 2019-01 that revised the expedited review policy. You can read the Resolution on the documents page on the website at www.fmeha.org. Also, after exhausting all other options, the Association is taking legal action on one home in the neighborhood which has had long-term issues with maintenance. DUE TO RAIN, the FMEHA Spring Spring Community Event is rescheduled for Saturday, April 27th, from 2 to 4 p.m. at the Donald Seay Playground, near Pinecrest and Viking. Mark your calendars, and if you’d like to help plan, prepare, set up, clean up, or run a game, volunteers are ALWAYS welcome. Please email social@fmeha.org to let them know. FMEHA has a Facebook page that is open to the public. You can “like” the site and accept notices from it to your own Facebook page. $165 annual fee for Fox Mill Estates Homes Association was due on January 1, 2019, and late fees begin to accrue, by policy, after Jan. 30. 1. Send a check to FMEHA, c/o AMV, P.O. Box 64791, Phoenix, AZ 85082. 2. Pay by credit card through Mutual of Omaha. 3. Pay by eCheck from Mutual of Omaha. 4. You can make a one time payment or set up an automatic bank withdrawal with AMV to make a payment from your checking account, also known as an ACH payment. From this linked page, Click "Pay Now". Click "Yes" to agree to Terms. Fill in the form with your name and address and use the additional account information provided on your payment remittance coupon (statement) to fill in the Management, Association and your property account numbers. Click "pay by eCheck". Enter all the info, i.e routing #, acct. #, etc. You can also click on pay with a credit card, however, there is a service fee to use a credit card. For even more detailed directions on making payments, click here. If you need your account information please check your annual invoice or call AMV at: (703) 771-3995. If you are a federal worker or contractor directly affected by the government shutdown, and would like to request an extension for payment of 2019 annual dues, please write to the FMEHA at hoa@fmeha.org and let the property management know. Please include in your message your name, address, email address, and evidence of your current employment. Please make your request prior to Jan. 30. If you have any other questions about your dues payments, please contact AMV, the property management company, during business hours at 703-771-3995. Please register using the "Register" link above to receive email notifications and to have access to all sections of the website. Your personal information can remain out of view or it can be listed in the Resident Directory. 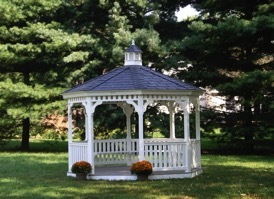 We use it only to verify that you are a homeowner or resident. The Ketttering Trail Bridge was rebuilt by Girl Scout Troop #2507. This 32-foot long bridge was destroyed in 2014 by a fallen tree. 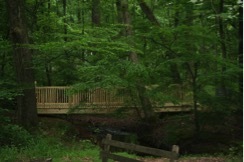 The bridge connected the Fox Mill Parkland from Viking Drive and Tewksbury with the easement that runs all the way to Fairfax County Parkway. The troop has spent most of their year learning about planning, building and woodworking in preparation for this project to earn their Bronze Award. The Bronze Award is the highest honor that a Girl Scout Junior Troop can achieve. Before you plan to dig, contact the ACC. Then, before you dig, dial 811 for Miss Utility. As a reminder, almost all exterior improvement projects require ACC approval prior to construction. Exterior improvements requiring approval range from changing the color of a front door to the construction of an addition. If you see suspicious activity or have a complaint or concern, call the Fairfax County Non-Emergency number 703-691-2131 and report it or you may report it online at www.fairfaxcounty.gov/police. Complaints may be filed on the same page by clicking “File a report.” The more reports made for any illegal activity, the more likely it will be stopped as the statistics and data trends emerge. Emergencies call 911. Ad space is available for sale. Ads are taken on a first come basis. American Management of Virginia, Inc. Unless otherwise noted, monthly Board Meetings are held on the third Wednesday of each month in the Fox Mill Elementary School Cafeteria beginning at 7:30 pm. The Architectural Control Committee (ACC) holds monthly meetings on the first Wednesday of each month in the Fox Mill Elementary School Cafeteria beginning at 7:30 pm. All homeowners are welcome to attend. These are some widely used forms that you may need as a Home Owner in our community. Other forms and documents are also located in the FORMS section. Click here for the ACC Application form. Request Resale Disclosure Packages.Please request Homeowner's Resale Disclosure Packages by going to the AMV website: www.AMVirgina.com, and Click on: Order Resale Packet or Click Here. Do not send dues payment to this address - see below. 2019 dues are $165.00. Due date is January 1, 2019. Late fees will begin to accrue after 30 days. Late accounts will automatically be referred to legal counsel for collections which can include liens or other actions. Homeowners are responsible for all fees, late fees and attorney fees incurred due to delinquencies. Thank you neighbors for continuing to keep Fox Mill Estates a very safe community to live in. Over the past months, we have seen crime remain low in our community. However, neighboring jurisdictions are seeing a lot more vehicle break-ins around schools, soccer fields, etc. Wherever a lot of cars are located together seems to be where they are concentrating. They are looking for purses, wallets, GPS, phones, etc. - anything quick to grab. Take precautions if you are out to place your valuables out of sight or in the trunk. Lock your doors on both home and vehicles, placing valuables out of sight in your vehicle (including GPS, charging cables, phones, etc.) and keeping the porch and motion lights on at night will deter crime. It is a proven fact that communities that are well lit, create a deterrent to crime, as thieves prefer to work under the cover of darkness. Recent patrols came across 0, 7 and 4 open garages in the middle of the night. We remind you to keep your doors closed and locked, including your vehicles to protect your property. If you see suspicious activity or have a complaint or concern, call the Fairfax County Non-Emergency number 703-691-2131 and report it or you may report it online http://www.fairfaxcounty.gov/police or http://www. fairfaxcounty.gov/complaints and click on “Make a Report.” The more reports made for any illegal activity, the more likely it will be stopped as the statistics and data trends emerge. If you are interested in volunteering with this committee, more assistance is always appreciated. Please forward an email to neighborhood_watch@ fmeha.org to see what you can do to help. If you see suspicious activity or have a complaint or concern, call the Fairfax County Non-Emergency number 703-691-2131 and report it or you may report it online at www.fairfaxcounty.gov/police. Complaints may be filed on the same page by clicking “File a report.” The more reports made for any illegal activity, the more likely it will be stopped as the statistics and data trends emerge. Streetlight maintenance in our community is on ongoing process. If you see a streetlight out, please, send us an email to neighborhood_watch@fmeha.org or you can report it online on www.dom.com. Please make sure to have the pole numbers and the problem to report in the email form. Ex (CO220/VG27). If the pole doesn’t have a number, please indicate the closest address to the pole in question. Volunteers Needed: If you would like to volunteer to help our neighborhood watch program be even better, please email your name and phone number to neighborhood_watch@fmeha.org and we will contact you about how you can help. Thank you and we wish you a safe winter season ahead. Click here for website information for the Police Webpage, Helicopter Webpage, Police Incident Mapping, and Police Blog.